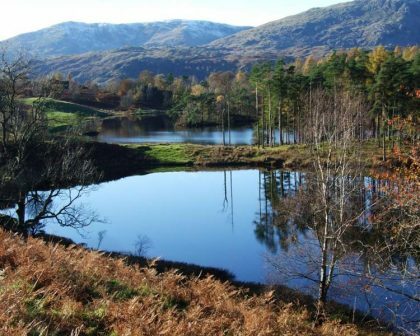 The English Lake District lies in the county of Cumbria, in England’s north west corner. 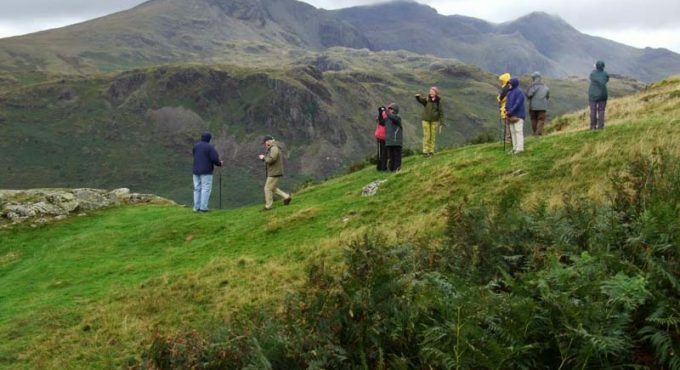 To most British people it is simply the Lake District, and they think of it as a dear friend! 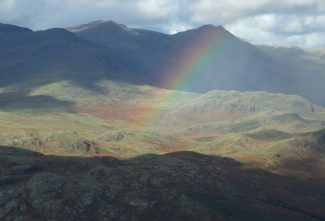 It is the largest of English National Parks, and is famous throughout the world for its beautiful and dramatic scenery. The mountains rise from sea level to heights of over 3000 feet (almost 1000 metres), and are intersected by lush green valleys, often containing lakes. 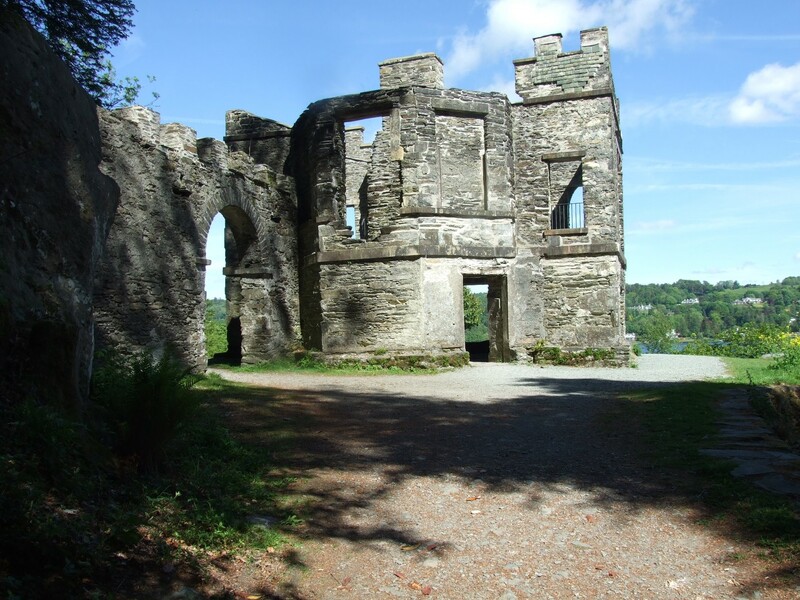 There is also a wealth of history and heritage unrivalled in so small an area. In 2018 our wonderful region was nominated by UNESCO as a World Heritage Site, thus joining such iconic locations as the Taj Mahal, the Great Barrier Reef and the Grand Canyon. 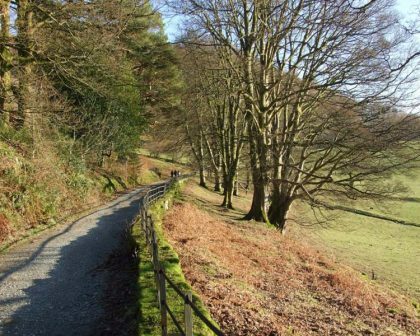 Less well know is the fact that the Hadrian’s Wall World Heritage Site, designated in 1987, extends from the line of the Wall itself down the Cumbria Coast and includes Ravenglass and the area around this village. 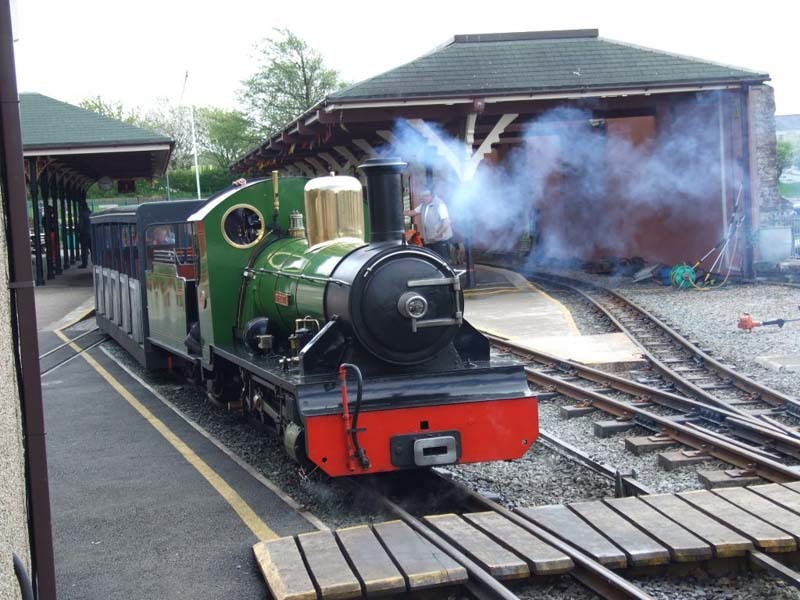 Since Ravenglass also lies within the Lake District National Park, this makes Ravenglass unique in the UK in belonging to TWO UNESCO World Heritage Sites! 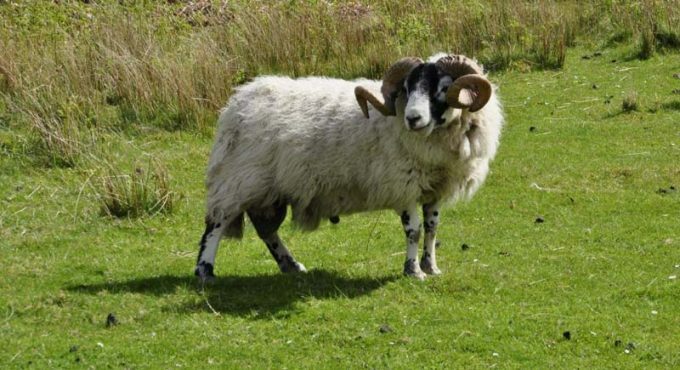 You can VISIT Ravenglass on our Heart of Lakeland Tour, and STAY there on the Cross Lakes Rambler. 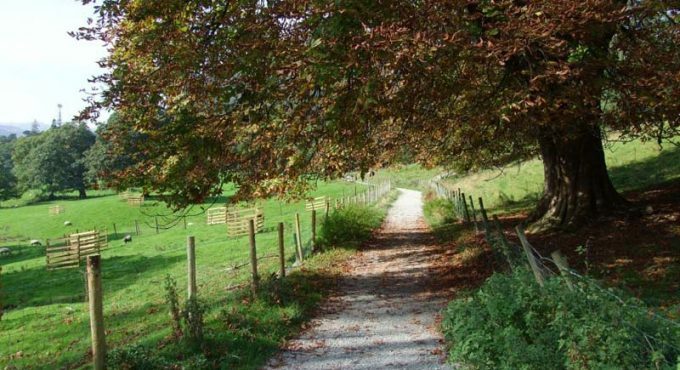 Click here to view our routes. 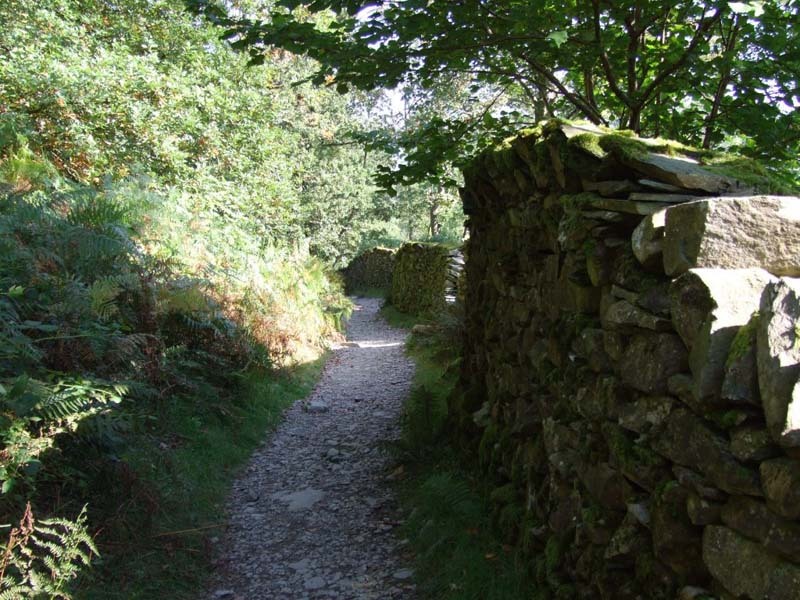 Click on the button below to view our Lake District photo gallery. 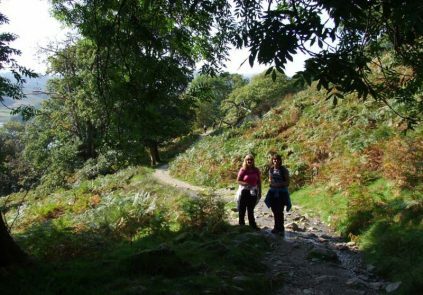 English Lakeland Walks is operated and administered by Alan Heppenstall. 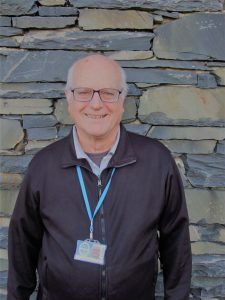 Alan is a qualified Blue Badge Guide for Cumbria, and has lived in the area for over 35 years. 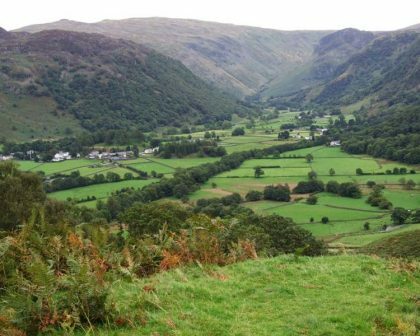 During much of the time I have lived and worked in this beautiful corner of England I have walked the fells and valleys, and in the process acquired a close knowledge of what to me is a uniquely wonderful area. 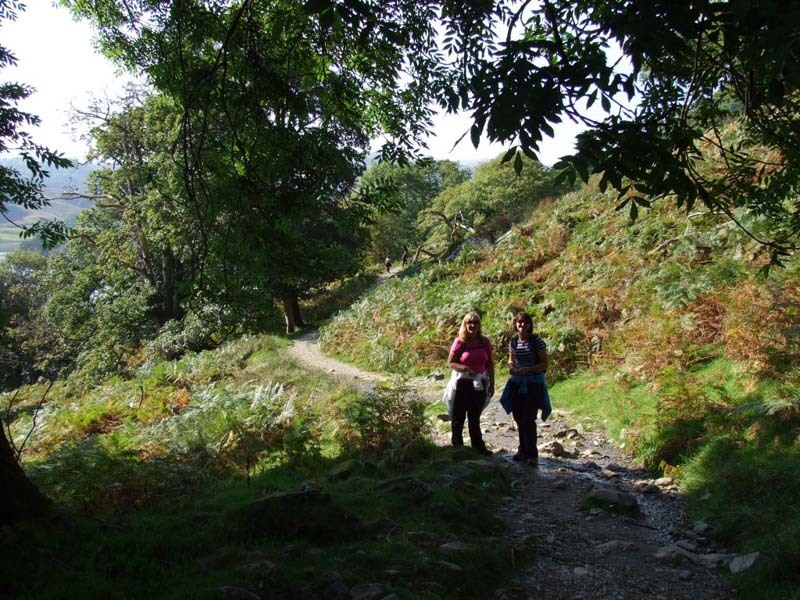 I hope the routes I have chosen for English Lakeland Walks reflect the enthusiasm and passion I feel for them myself. 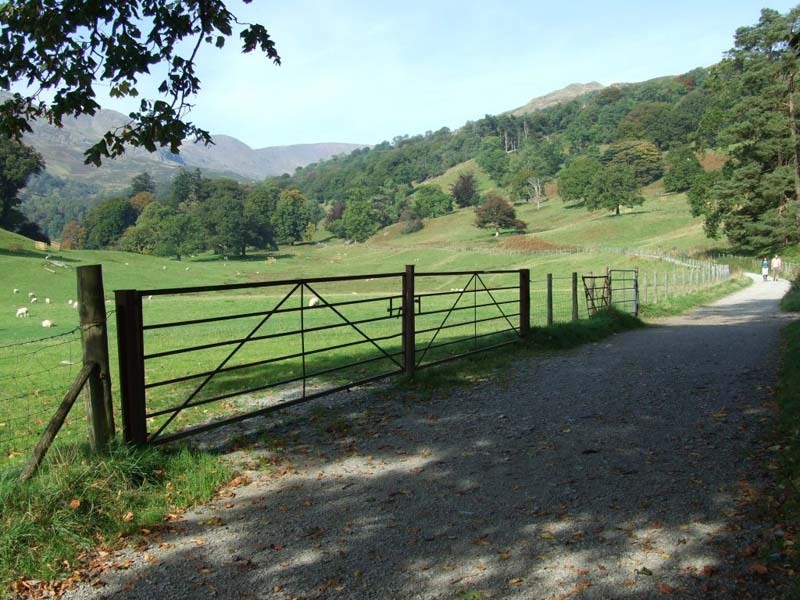 Both the point to point tours described start in Windermere. 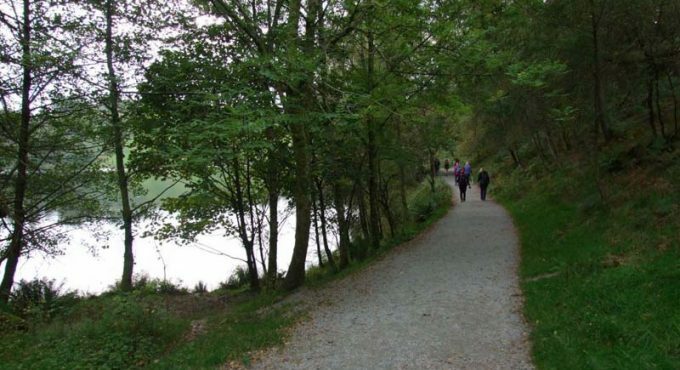 Windermere is accessible by train, and the journey takes as little as four hours from London, and under two hours from Manchester (airport or city centre). 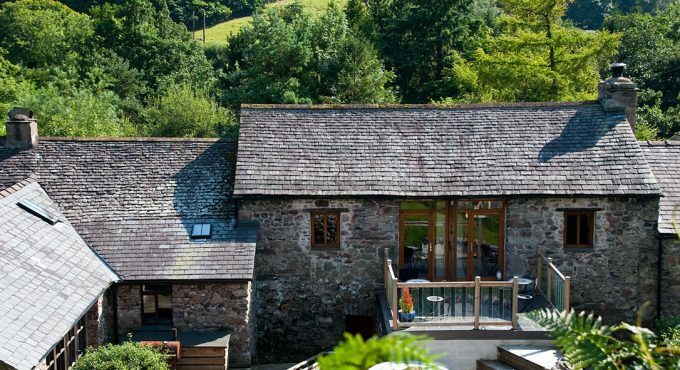 The nearest airport is Manchester, which is well served by both European and North American cities. 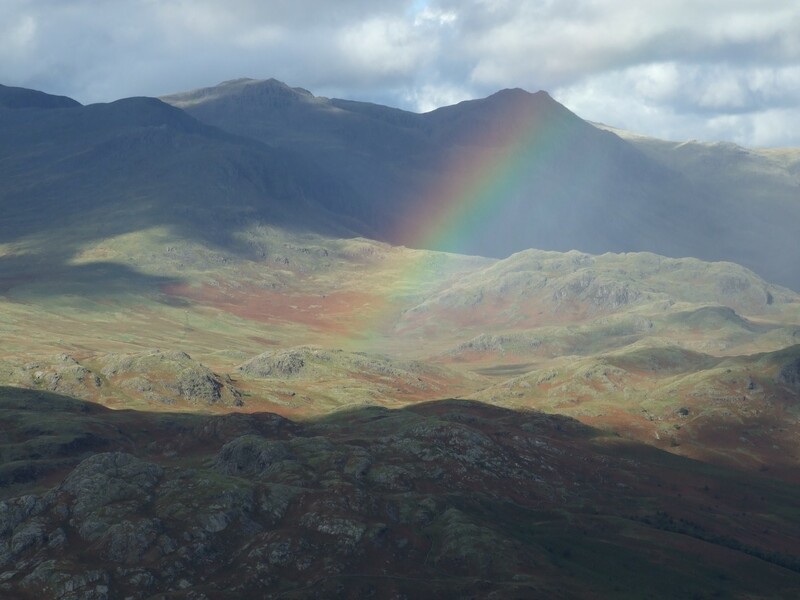 The Heart of Lakeland is a 6 day/7 night journey of discovery through this magical landscape. It starts in Windermere and ends with a boat ride into Keswick, after visiting Hawkshead, Coniston and the valleys of Dunnerdale, Eskdale, Wasdale and Borrowdale. 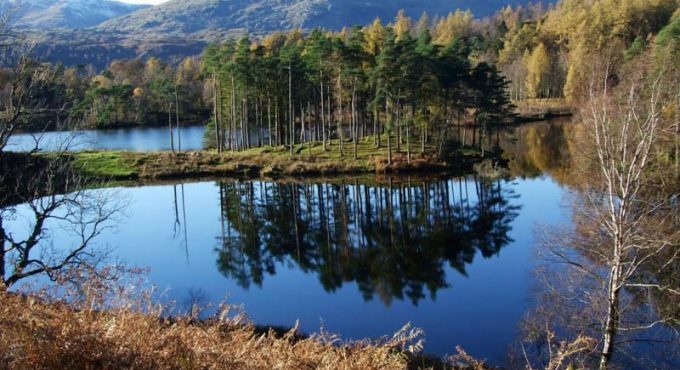 From Keswick the preferred choice is to hop on one of the regular buses, probably a double-decker, for the return to Windermere through the central Lake District. 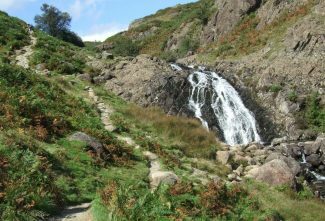 The Heart of Lakeland can be extended for a day to allow further exploration to take place in the valleys of Ennerdale, Buttermere and Newlands. 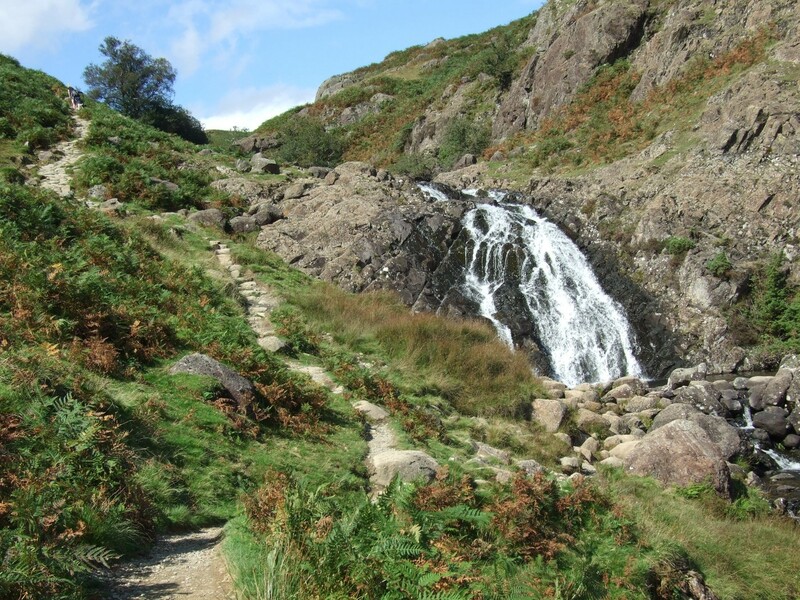 The Cross Lakes Ramble follows the Heart of Lakeland as far as Eskdale, then branches off to head down to the west coast, and ends at Ravenglass on the Cumbrian Coastal railway. 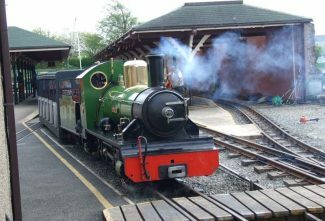 From here it is possible to catch a train northwards, for Whitehaven, Carlisle, Scotland and destinations in NE England; or southwards for Barrow-in-Furness, Lancaster, London and other destinations in England. 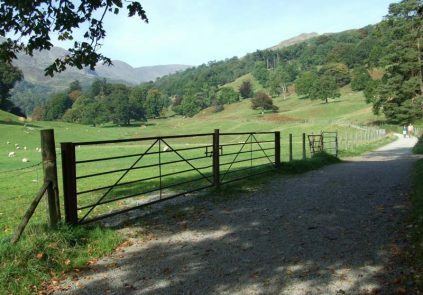 Just Walk is based in Grasmere, right at the centre of the Lake District. 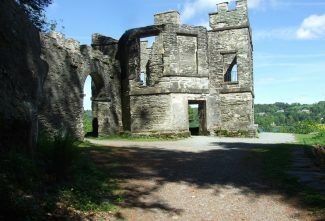 It is easily reached by train to Windermere, then a bus or taxi. All three tours work well taken in combination with public transport. So why not leave the car behind, and let the trains do the work?